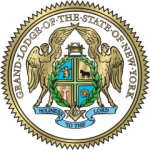 The Awards Committee has been charged by the Grand Master with the responsibility of implementing the Dedicated Service Award, the Fifty – Year (Plus) Award Programs and the Grand Lodge Community Service Awards, as well as recommending to the Grand Master the creation of new awards. This committee is dedicated to providing a fair and comprehensive evaluation of each and every award recommendation that is requested and will complete its review in a timely fashion. THE HUDSON-CHAMPLAIN REGION – RW Charles E. Knapp Jr. and RW Robert L. Hogan Jr. This award is available to Brothers who have reached Fifty (50) years of membership in the Craft and thereafter in five (5) year increments. This award is the responsibility of this committee, but is handled entirely by the Lodge Services Department. After the Lodge Secretary is notified that a Brother has reached Fifty years of membership or more in the Craft, he should order a Certificate and Apron from the Lodge Services Department. Lapel Pins and Medals are also available. The Grand Lodge Award program for Excellence in Community Service is intended to recognize individuals and organizations, including Masons for service to their respective communities. 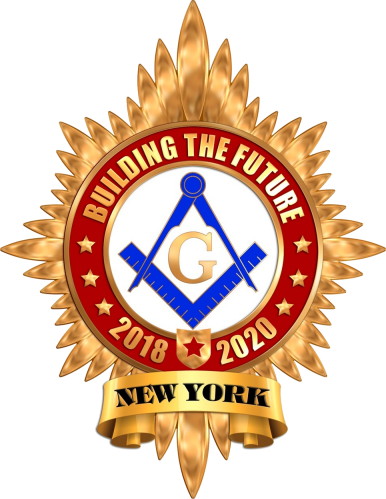 The DeWitt Clinton Award is given to Non-Masons or Non-Masonic organizations that have demonstrated exceptional VOLUNTARY service to their community. The Jacob Morton Award is given to Masons or Masonic organizations under the same criteria as that for the DeWitt Clinton Award. 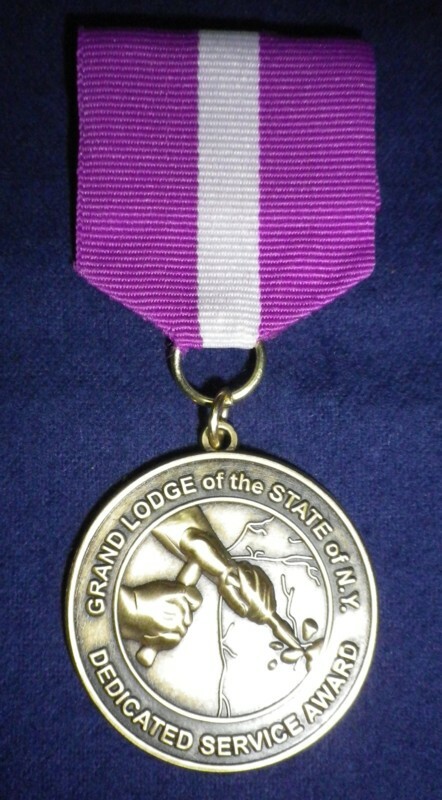 The Grand Lodge Certificate of Appreciation for Excellence in Service to the Community is awarded to those individuals and/or organizations, including Masons that do not meet the highest criteria necessary to receive the DeWitt Clinton Award or the Jacob Morton Award, but deserve recognition from Grand Lodge. Not many will pass the stringent requirements for the DeWitt Clinton or Jacob Morton award, but many will, and should be, nominated for the Grand Lodge Certificate. The Dedicated Service Award Program enables Lodges to obtain Grand Lodge recognition for Brothers and Past Masters who continue, year after year, to support their Lodges and their District with their presence, time and talent by attending Lodge and District meetings, and participating in degrees and programs, with or without holding an office. This does not exclude Past Masters. These are the Brothers who often serve to inspire and motivate others to emulate their examples of true Masonic dedication. These guidelines provide the prerequisite that a Brother be a member of the Fraternity for at least ten (10) years. A Right Worshipful, a Very Worshipful and those who are reasonably expected to be recommended for the Purple are NOT ELIGIBLE and should not be recommended for the Dedicated Service Award. Current Masters and current Secretaries are NOT ELIGIBLE and should not be recommended for the Dedicated Service Award. The Committee scrutinizes each recommendation received from a Lodge. Every item must be completed and the form appropriately signed and the Lodge Seal affixed. Accurate ages and years of membership are requirements for Grand Lodge statistical purposes and cannot be omitted. If the applicant has dual or plural membership, please list all Lodges. Attach the Member Profile Report from the MORI System with the recommendation form. If the Lodge is not on the MORI System a copy can be attained from the Grand Lodge Registry Department. Attach any additional pertinent information to the form. The Committee is interested in facts supporting each recommendation – not conclusions such as “he is a dedicated Mason.” What has the Brother done, which truly demonstrates his dedication, to his Lodge and the District? The recommendations, which fail to show why the Brother was recommended, are rejected. Being a “Tiler for a number of years” is simply not sufficient, nor are the opinions of the Master “that the Brother deserves the Award.” Equal consideration WILL be given to a Brother’s support of his District and District Programs. Masonic affiliations and community endeavors MAY be considered ONLY if they are IN ADDITION to his regular Lodge and District work. Recommendations for the Award must be initiated by a Lodge on the form provided. All recommendations must be received on a form dated for the proper year only. The form must be signed by both the Master and Secretary and the Lodge Seal affixed. One nominee per year per Lodge is permitted. 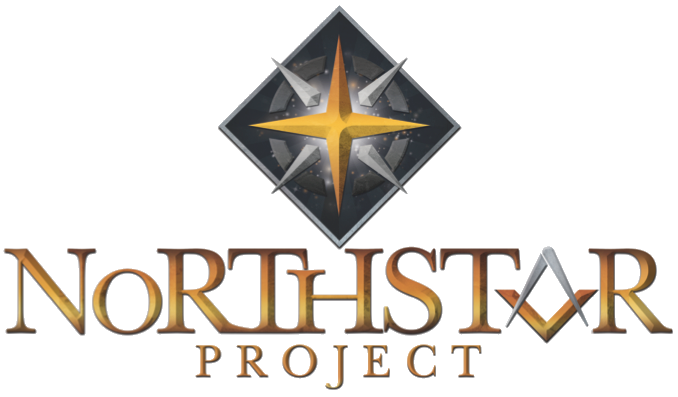 All Lodge Secretaries are to forward a copy of the Brother’s Member Profile Report from the Grand Lodge Mori System, with each recommendation. Nominations are to be sent by the Lodge to the Awards Committee by November 12, 2018. The Lodge nomination will be reviewed by the Awards Committee at committee meetings scheduled in December. The recommendations will then be forwarded to the Grand Master for his final approval. DO NOT MAIL THEM TO THE GRAND SECRETARY’S OFFICE OR TO THE DISTRICT DEPUTY! The committee meets in early December to consider the recommendations. Because there is much preliminary screening and work, which must be accomplished in advance of the meeting, the committee will not be able to consider recommendations postmarked later than November 12, 2018. The Committee will inform the District Deputy Grand Masters of the nominations received from the Lodges. Immediately after their meetings, the Committee will communicate with the Grand Master. Lodges will be notified of the Grand Master’s decisions by the Grand Secretary at the beginning of February 2019. A letter congratulating the Brother upon being the recipient of the Dedicated Service Award (DSA), will be sent by the Grand Master at the same time. A letter will be sent to the DDGMs listing the recipients in their District by the Committee at the same time. If desired, and with the appropriate advance notice to the Committee Chairman, an attempt will be made to have a Committeeman present to help make the presentation and relate the history of the Award to the recipient and members. The form of the Award is a distinctive white apron with silver and purple trimming and a the distinctive DSA Pocket Jewel. An invoice together with a form for ordering the Certificate, Lapel Pin; Apron, Apron Case, Pocket Jewel and Pocket Badge will be mailed to the Lodge Secretary. The Certificate, signed by the Grand Master, which is suitable for framing is included when ordering the above. It is recommended by the Awards Committee, that all DSA Certificates should be framed before presenting it to the recipient. The Pocket Medallion is available for purchase for past DSA Recipients from Lodge Services through the Lodge Secretary only. The cost is $20.00 plus tax and shipping. We look forward to receiving your recommendations as soon as possible.